More catch up from me!! Here is a run down of this past week, which was anything but slow for the Baileys! On Monday night I got to go meet sweet Eloise LeBlanc, the brand new baby of our friends Shannon and Daniel. She was absolutely gorgeous and slept in my arms while Shannon and I caught up. I was surprised to see how attentive her 3 dogs were to the baby and how protective they seemed!! I was busy the rest of the week preparing for the Etowah County Bar Seminar. Lawyers have to get continuing legal education hours and this seminar is GREAT, because otherwise we'd all have to go to Birmingham or Montgomery, etc for our hours. Everyone loves this so it is a pretty big endeavor. My dad is the Bar VP so technically he is in charge of it, but I ended up handling everything from last minute registrations, getting the speakers' papers copied and bound, and ordering everyone's specific lunch order. I was running around crazy Tuesday and Wednesday trying to get ready!! Thursday was the big day and I must say it went over very well! I had nearly 100 in attendance! The best part of the day (other than the reception at the end--woohoo!) was that we took a picture of all of the attorneys in the Etowah County Bar. There were so many and it was very cool to see everyone together! After the seminar and reception I dashed to pick up Farrah and we went to meet our friend Kelly's new baby girl, Ansley Kate! OMG she was too sweet and adorable. AK's big sister, Parker Grace, was so cute and showed us all of her toys. I let her wear my necklace and she kept saying "I gorgeous". Melt my heart! After saying good bye Farrah and I went back to my house for sangria and a little girl time. Even though she lives across the street, I don't see her as much as I would like, and we had been missing each other!! Such a fun night!! Friday, 11/11/11, was Veterans Day. I didn't have the day off of work but my mom did, and she wanted to shop, so of course, I convinced my dad that I needed to go too! We had SO much fun! We got to have lunch with my Aunt Fran at Firebirds (amazing salads!) and got to see my grandparents as well. She got some good finds and I got some adorable new shoes. Hooray!! That night we went to eat at Old Mexico with our Young Marrieds group. I love hanging out with this group more and more!! We had the BEST time and stayed til they were practically kicking us out!! Can't wait until our Christmas Party next month!! On Saturday, while I slept late, Forrest played touch football with some guy friends and then went to Duck Springs to work on the head board he is making for me! Yay!! I went to Carol's Avon party, a highlight of the year!! She always has the best snacks and lots of cool bargains! I always stock up and this year was no exception. I have to mention that her cheesy bacon pull apart bread was absolutely DE-LISH!! After church we went to my parents' to watch the Bama v. MSU game. We did NOT look that great so I was pouty the entire game and Forrest even gave up and started watching Oregon v. Stanford (GO DUCKS)!! It is sad, but I have had to cheer for the Ducks 2 years in a row. Oh well. We had a big crowd and great food, so despite the lack luster game (at least we won), it was a fun night!! Sunday was a day I had been needing so badly!! I slept late and didn't get out of bed until after lunch (which I ate IN bed). We did have to take our old mattress to the lake, but that was fun because we got to take the dogs and they enjoyed running around for a while. We borrowed Uncle John's truck so when we returned it, we had Sonny in the car with us and were excited to see him interact with their dog, Mac (we dropped Ruffles at home--she is no fan of Mac!) . They had the BEST time running around and chasing the ball. They are going to be best buddies this summer!! Monday will be forever referred to as "Snake-Gate 2011" and there is no need to talk about that any more. On Tuesday I got to go to a lady's luncheon at my grandmother's church in Birmingham. My Aunt Fran throws it and I go every year. 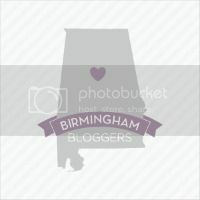 They have a really fun teacup auction (I didn't win anything--boo) and great food, but most importantly I love getting to spend some time with my Birmingham family!! The entertainment was provided by 2 Hot Tamales (lady singers), and they told us they were the "Goldberg, 800-600-6014" jingle singers! Crazy! I also had Sardis Court last night and a Service Guild meeting so I still have been running around wild this week. Forrest is back at school, counting the days until Christmas break! Tonight we are hosting Uncle Tommy and Aunt Karen for dinner, but before that I get to go meet my friend Kate's new baby boy, Xavier!! How much fun!! Now that I am caught up, I will get back on track with my posting. Hope you all have a great week! !